We are providing Mirror Coated Board. Owing to highly used by customers, we offer this product in varied patterns that meet on market demands. 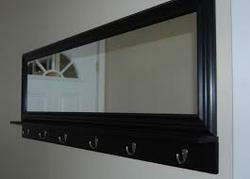 Framing - picture mirror boards.